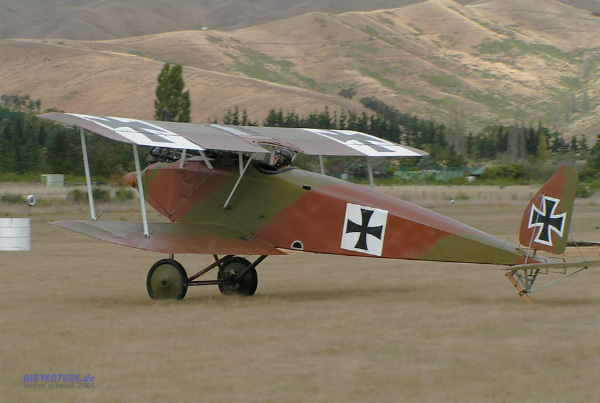 The manufacturer of the Halberstadt D.II, Halberstadter Flugzeuwerke was originally a division of the British and Colonial Aeroplane Company of Bristol, know as the Deutsche Bristol-Werke Halberstadt, whose first German design included the Taube (Dove) monoplanes. One Mercedes D.II six cylinder in-line, 90 kW (120 hp). Spandau LMG 08 machine gun, firing through the propeller arc. 1. E.F. Cheesman ed. Fighter Aircraft of the 1914-1918 war. Fallbrook, California: Aero Publishers Inc., 1964. 134. 3. Peter Gray and Owen Thetford. German Aircraft of the First World War. Garden City, New York: Doubleday & Company, Inc. 146. 4. Kenneth Munson. The Pocket Encyclopedia of World Aircraft in Color. Fighters 1914-19. Attack and Training Aircraft. New York: The MacMillan Company, 1969. 113. 5. E.F. Cheesman ed. 134. Created November 13, 2009. Updated November 7, 2013.